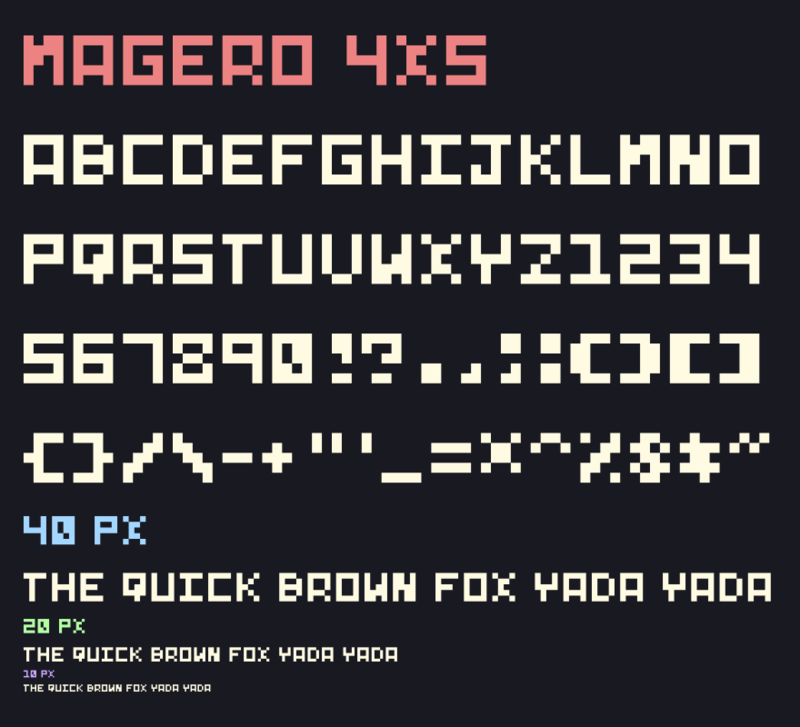 Magero is a 4 by 5 pixel font for use in pixel games, or really whatever else it looks good in. There are no lower case letters. It features the full alphabet, numbers 0-9, and most common keyboard symbols. 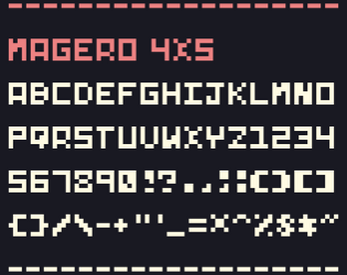 This font is free to use with attribution, both commercially and privately.